i promise this will be the last time i write about SAW for a while. for someone who doesn’t really write, there’s a lot of words that are falling out of me about my experiences there… not really postcard-size posts at the moment are they?! being surrounded at squam by a lake of creativity i started to believe the words anything is possible. and these three lovely wahine have contributed to my bravery, simply by being present with me; creating a space where i could safely explore myself and my creativity, whilst shedding some tears and having some belly-laughing fun. 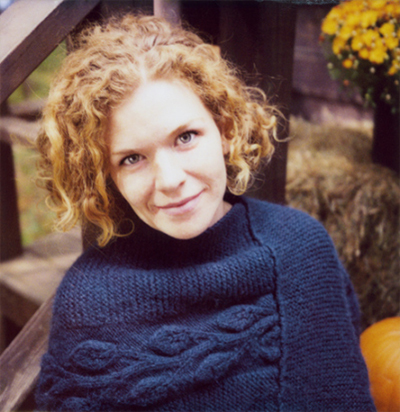 1. elizabeth mcrellish – the squam goddess, creator of this amazing space. so much has been written about her already. i love what denise andrade has written about her, and the photo she has shared is so amazingly beautiful that i’m just going to send you on over there to check it out yourself. elizabeth is one amazing lady i tell ya. 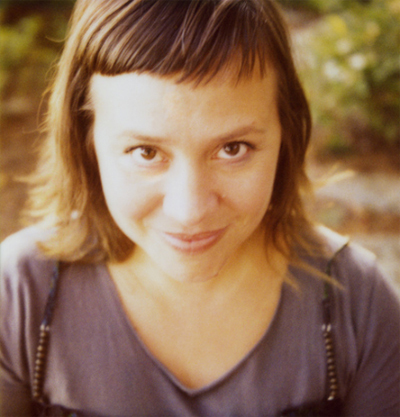 2. jen lee – whose poem “don’t write” is one of my all time favourites because it speaks so deeply to me. hers was my first class at squam and it was challenging to say the very least. the fear overcame me in such a rush that i was in tears for most of her class. i took it to challenge myself… explore some pieces of me as yet undiscovered.one of the things i realised when i was at squam was that i’d never really sat and listened to myself. being there was just the space (and the quiet) i needed to start doing this and i’ve been surprised at what i’ve had to say! jen invited me to examine what it was that silenced my voice in the first place. i don’t remember the exact moment that i decided this, though i have long told myself that i’m not worth listening to, so i might as well keep quiet. i could stare into jen’s eyes forever, listen to her stories, fill myself up just being around her. 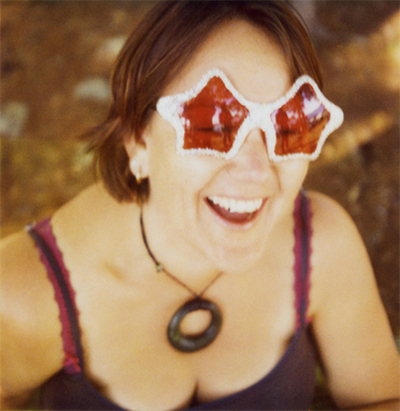 3. andrea jenkins – whose post about ttv had me scouring vintage stores & camera shops around london for an old camera. knowing i would get to meet her at squam was definitely a decider for me. her photos – ooh, ooh, ooh! i sense magic in every single one of them. she is so willing to share what she knows and learn from others. she is warm, so huggable and very very easy to fall ridiculously in love with. it was a class where learning felt like play, it was so natural, so easy. there were so many other amazing people i met there – i want to tell you about my wonderful cabin mates, the friends i made, the conversations i had over breakfast, lunch, dinner… words really do fail me about the amazing people, so i’ll just hold them all quietly in my heart and hope that they can feel it from wherever they are. there was quiet conversations, laughter over wine, tarot card reading by torchlight, early morning swims, a rock-fairy, polaroids, acceptance, love. * polaroids of me, jen & andrea: captured by the ridiculously talented and beautiful, susannah conway. all used with permission. This entry was posted in travel, usa and tagged squam art workshops, usa. Bookmark the permalink. this sounds like it would be so much fun. i am putting this on my life list. you make it sound so magical. sooo amazing…and you’re an artist too!!!! Oh Leonie…if you just knew!!! I am SO, SO, SO happy for you! How wonderful that you could be there ~ and have such an amazingly powerful experience! oh sigh. wish i was there. it must have been magic. darn tootin’ you are (an artist). god, i just want to kiss that gorgeous face of yours. i’m so glad that you got what you needed out of squam and i can’t wait to see where this newfound courage takes you.